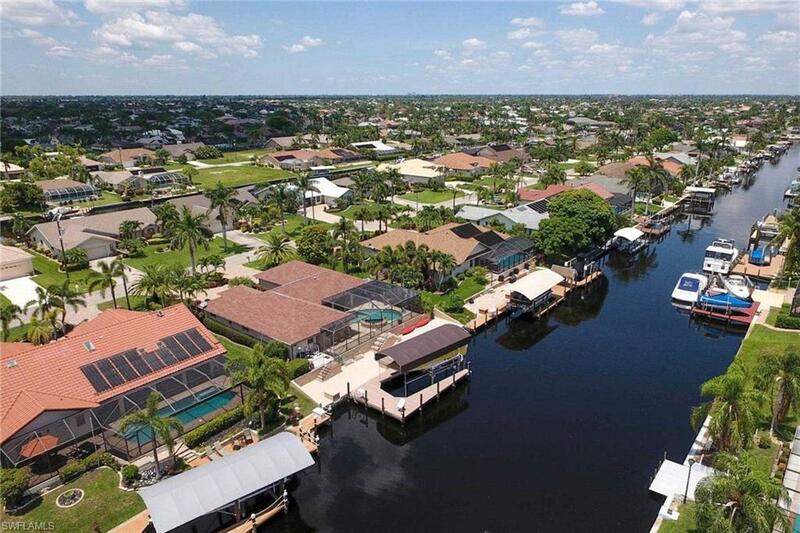 1522 SW 54th Ter, Cape Coral, FL 33914 (MLS #218046360) :: Clausen Properties, Inc. This is a VACATION RENTAL only. Owner will not consider an annual rental. Weekly rentals permitted. The new Villa Mylee is not identical to the "previous" Villa Mylee, but the owners are the same. Therefore, you can expect the same quality of vacation home as before. 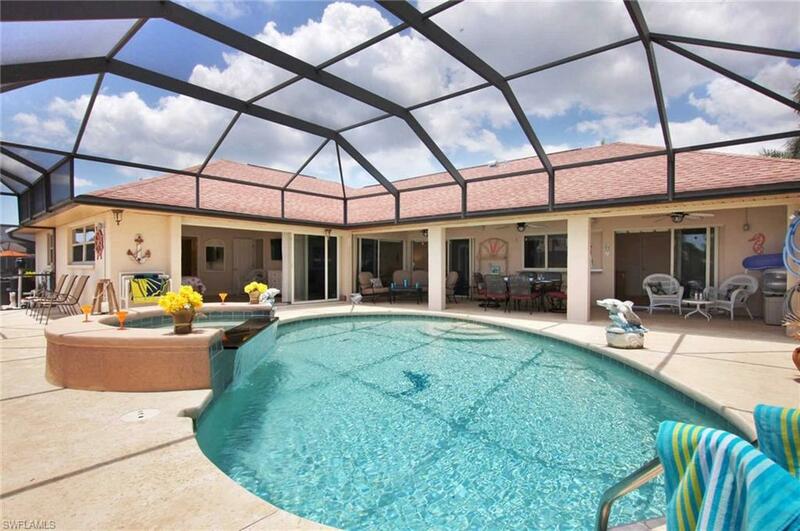 This villa is a lovely Floridian home with 2028 sq. ft. featuring 3 bedrooms and 2 baths. 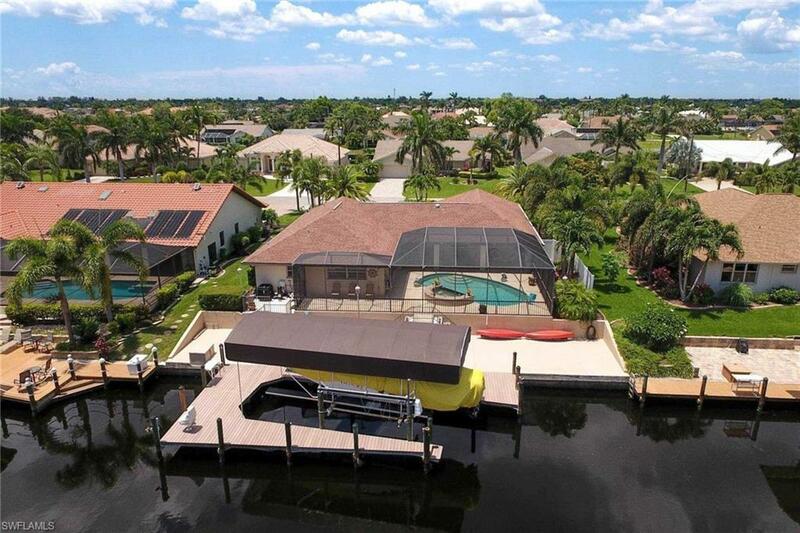 Located in a quiet, yet very convenient location in the desirable Southwest area of Cape Coral. It is within walking distance of the fabulous Cape Harbor with its great restaurants, bars, stylish boutiques and luxury boat marina. You can reach shopping centers, pharmacies, postal service, banks and an abundance of different restaurants and bars within 5 to 10 driving minutes.The property features a circular driveway & a well maintained, mature, tropical landscape. Volume ceilings, traditional southern furniture & tropical decorations create a pleasant atmosphere. This vacation villa offers 3 bedrooms (1 King and 2 Queen size beds) with TVs & 2 bathrooms, a fully furnished kitchen with breakfast area. Outdoor area is very attractive with several doors leading to the lanai with southern exposure and electric heated pool.